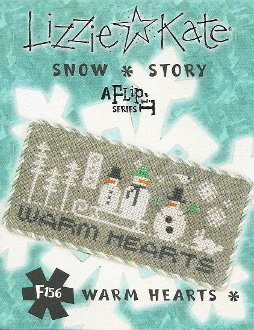 An adorable design featuring a Snowmen family with "Warm Hearts" below. Part of Lizzie Kate's Snow Story Flip-It series. Chart includes two tiny buttons.